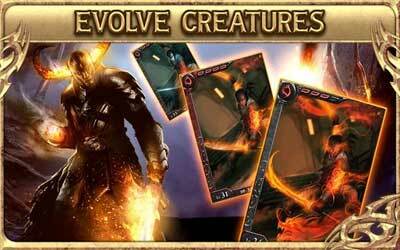 If you need an adventure game that features card battle, you can download and install HellFire: The Summoning APK 5.5.1. The game is available in Google Play Store under the Adventure Game category. This free app is also featuring in-app purchases as well. DeNA Corp developed this addictive game for players who love challenge and want to kill times by playing a game. Although the genre is adventure, the gameplay requires strategy to beat your opponents. It will bring you to a realm where you need to protect gates of hell to prevent sinister creatures come out from it. The storyline tells you that hellish creatures breach to your realm through gates of hell. Those creatures create destructions over your peaceful land. In the game, you play as the gate hunter. Your job is to protect the gates by defeating those monsters.